Our manager, Wayne Ellis, has lots of local knowledge having spent most of his working life here in Southland. With a background of twenty-five years in the banking industry he is enjoying being involved in real estate. Wayne is passionate about ensuring that our clients receive exceptional service every time. Talk to Anna and you will be left with two important impressions, Passion and Professionalism. Her high level of energy, enthusiasm and experience really pay off, as her results demonstrate. Her approach to Real Estate is simple 'The harder you work the more positive the outcome'. Call Anna Thomas today! Becky has joined forces with her husband Sean! With a retail background in fashion and more latterly administrating in the real estate front line, it seemed a natural progression into sales for Becky. With youth and enthusiasm, she will be the perfect complement and foil for Sean. Brendan’s career in Real Estate commenced in 2001. He is a strong believer in using a common sense approach, and in “keeping things simple”, to ensure that your Real Estate experience is as stress and hassle free as possible. Away from Real Estate Brendan enjoys keeping fit, having competed in both marathons, Iron Man Triathlon and twice boxed for charity “Fight For Kidz”. Brendan and his fiance Vicki have their own 80 acre farming interest too, which they farm and work together on after hours. For a hands on committed salesman give Brendan a call. I am born and bred Southlander and have lived and worked in the area most of my life. I first worked in the construction industry in the Southland area and in the mid 80’s in the Queenstown district. I moved back to Riverton in 2001 to own and run a business in the hospitality trade for the next ten years. I have always had a keen interest in real estate through buying and renovating properties for myself. I have recently decided to take it further by going into the Real Estate business, trying to put the “right person into the right home”. Dave worked in the Venison Industry for 18 years before he entered into the Real Estate Industry in 2007. Dave is the Co-Founder and Co-Organiser of “Southland’s very own”, “Fight for Kidz” which organises and runs events for local Kids charities since 2003 these events have raised a substantial amount of money, giving almost $700,000. His dedication and service to these charities has proven time and time again of his loyalty and commitment to Southlanders and the Southland Region. In 2008 Dave was awarded the “New Zealand Rookie of the Year” an achievement he is very proud of. Dave has continued to be a top performer, becoming a director in the company in 2010 and being in the top 5 in the office for the last 9 years. He puts this down to being honest, hardworking and giving great service so if you want these quality’s in your agent give Dave a call. David is a highly motivated person who gains personal satisfaction from assisting his clients and customers in successfully achieving the goals that are important to them by selling or leasing their property or finding the right property for them. David began working in the Real Estate industry when he left school, for his father’s business in 1972. When his father died he took over the running of that business for a number of years. He initially sold residential properties and after several years David decided to try his hand at Commercial Real Estate; he hasn’t looked back. He has been working for Harcourts since 1997. Over 40 years experience in the industry David has gained the knowledge and expertise required for the complex and exciting profession that is Commercial Real Estate. David has been number one nationally for NAI Harcourts four times, 2003-2004, 2006-2007 and 2008-2009, 2009-2010 plus in the top five a few times. In David’s limited spare time he is involved in Rotary, the local Property Investors Association, his own rental properties, two car clubs and has a wife and two grown up children. David looks forward to helping with buying or selling or leasing your property or business. Dean is a people person, who is passionate about building lasting relationships through providing the very best in service, nothing less will do. I want to ensure the buying & selling experience is a great one, taking any hassle or inconvenience away & getting the result you are after. Nothing more satisfying than knowing you have made a positive difference, which is what I have been striving to achieve throughout my sales career. Listening to clients’ needs and tailoring solutions around these are fundamental to achieving success and something I am extremely passionate about. Southland born and bred Debbie has been involved in the area of Commercial Real Estate for the past 15 years. specialising in Investment sales, retail, office & industrial leasing and business sales. Having great local knowledge Debbie brings reliability, honesty and professional friendly service to the industry. Prior to her career in real estate Debbie worked for seventeen years in hospitality and from this industry brings exceptional professionalism, customer service, efficiency and people skills to her chosen career. Now she enjoys assisting her clients in making the right choices in their decision to sell, purchase or lease a property or business and obtain the optimum outcome. In addition to a strong local client base, Debbie also has a wide reaching database of national & international clients and through her extensive experience is able to offer advice on a broad range of property transactions . 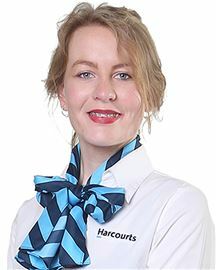 Debbie is pleased to be joining the team at Harcourts so if you are considering selling, purchasing or leasing commercial real estate, or you would simply like to have your property appraised in today’s market, contact Debbie. Career wise to this point I have been a Professional Photographer expanding my brand of ‘Lifestyle Photography’ synonymous with Southland and Central Otago. Last year was a gap year, a roll as a Professional rowing coach on the North Shore, so it’s time to come home where the people count. With a family history in Real Estate it seems a good fit and my love for the people will ring true. I have a strong belief that the relationship comes first and true business will follow. Kevin is a typical ‘people’s person’ who enjoys the opportunities that Real Estate offers to bring the right person and property together, ensuring a satisfying outcome for all. Kevin has spent eight years in sales before joining Harcourts; and found the knowledge and experiences from that time a real asset to beginning his Real Estate career. He is committed to his clients and always goes out of his way to achieve this. In 2006 he was awarded the ‘Rookie of the Year’ award for Harcourts Southland and then later at the National Awards night ‘NZ Rookie of the Year’. He is very proud of these achievements and strives to continually work hard for his clients and their requirements. Born and bred in Southland, Kevin enjoys the relaxed atmospheres and safe environment it offers. He loves the freedom and accessibility of the rivers and lakes that Southland has close by for fishing and boating. Kevin is knowledgeable of the Southland area and his honesty and genuine interest in people ensures that he will do all he can to efficiently market your property or to find the right house for you. He has a pleasant manner that you will find hard to match. Lisa brings with her 30 years of experience from the Hairdressing Industry during which time she has owned salons and employed staff. The skill set she brings from the Hairdressing Industry is bound to stand her in good stead, bringing with her a high standard of customer service and management skills. She will join her husband Dave Bartley in becoming Team Bartley, working together to bring all of their clients, past, present and future, outstanding service. I have been a Real Estate Salesperson in Invercargill since 2003, but have had an interest in buying and selling property since mid 1970′s. Having lived in Southland all my life, I have a good knowledge of the local residential property market. I am married with three adult children and my interests include property investing, cycling, mountain biking, walking, reading & watching sport. If you are considering selling your home or purchasing a property, please contact me, I would love to hear from you. Michael Griffin is a Residential agent with an intrinsic passion for property. 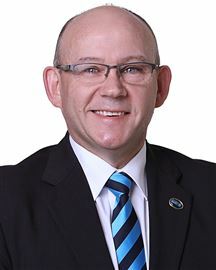 With a phenomenal track record of close to three decades in the industry, Michael brings an unmatched level of enthusiasm and committed to his position at Harcourts as Sale Consultant, Shareholder and Auctioneer. Michael prides himself on peerless commitment to exceptional client service. He executes his work with exacting attention to detail striving to achieve outstanding outcomes for clients which consistently exceed their expectations. I have recently been appointed to manage and grow the rural division of Harcourts Southland and to assist in the growth of Harcourts Rural nationwide, a challenge I see as very exciting. I have farmed the high country in Marlborough, deer and finishing in Central, and sheep, beef and dairy grazing in Southland. I have completed over 10 years in rural sales and boast a large database of clients. A big thank you to my clients over the past decade years and be assured I will continue to service you all to the best of my ability under the “Harcourts” brand. Farming is certainly in Phil's blood, born and breed in the rural area of Woodlands, Southland, being brought up on a sheep and beef property and then going onto the shearing circuit both here and abroad, proves he is certainly not afraid to roll up his sleeves and get his hands dirty. Phil's practical on the farm experience combined with his 19 years real estate background assures any buyer or seller that they are in safe hands. Let his knowledge and experience work for you. 25 years of industry knowledge and experience gives me a true understanding of any market and believe me I have seen them all, be it a “bull” market with over 300 sales per month to 60 sales per month. House prices have increased 300% in this time line. I have worked with first home buyers, investors even Duchesses. Affectively proving no job is too big or small. On a personal note I was a principal in the Hospice House Development, which created a donation beyond $800,000 to our local Hospice, which I believe helped me secure a seat on the current board of the ILT, which involves me in the distribution of beyond $8 million per annum. I am currently the president of The Southland Racing Club, hosting the largest social event on the cities calendar, also a sitting board member of Gallop South and a licensed horse trainer. I have used my last 15 years’ experience as Auctioneer to elevate me to be the most senior Property Auctioneer in the province. The growth in business suggests assistance was required and that has been a revelation in incorporating my wife Becky into the business her freshness and youthful vigour has assisted in growing and driving our business forward. Her eye for detail and technological knowledge has shored up any cracks in the day to day running of our business. Becky is insistent on service second to none and has elevated us to No 1 in the organisation making for the complete Real Estate Service. I has now become we and we are extremely proud of our achievements and Real Estate Service. Having been involved in real estate for the past eight years Shirley is very excited to join Harcourts. Her background in journalism, photography and farming gives her a broad spectrum of knowledge that she utilises to provide the best possible service to all her clients. Shirley is experienced in marketing all property types throughout Western Southland, Te Anau basin and Stewart Island and is looking forward to working with both new and previous clients alongside the team here at Harcourts. 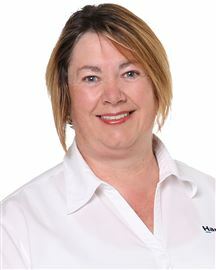 Terry has over twelve years’ experience in rural real estate in Southland. With a history of thirty years sheep and beef farming in Western and now Central Southland. Also a Shareholder and Director in a medium scale dairy unit. He brings a wealth of knowledge to assisting his clients with their property needs. Give Terry a call today. Wendy was born and bred in Southland and is very passionate about everything Invercargill and Southland has to offer. Wendy is very community focused and is involved in Meals on Wheels, Southland Multiple Sclerosis Society Charitable Trust and drove her Mini Cooper from Kaitaia to Invercargill while raising funds for Leukaemia and Blood Cancer NZ. Along with her excellent communication skills, good family values and in-depth understanding of customer relations Wendy has a friendly and compassionate approach. Wendy looks forward to assisting you with all your Real Estate requirements, with the least amount of stress. Phone Wendy today to help turn your property dreams into reality. With a keen interest in the preservation of heritage buildings, and in property renovation, much of Lindsay’s spare time is taken up by one or the other. While Lindsay is familiar with many of Invercargill’s buildings and homes, due purely to her own interest and curiosity, she is eager to get to know the people behind them. With previous experience as an Assistant Manager at a local hotel working closely with people is something that has become a part of life for Lindsay and she is delighted to continue doing so in her career here with our Property Management Team. 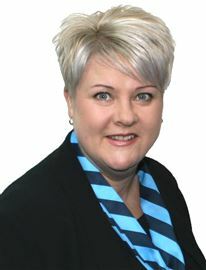 Sharon comes from a Property Management background with several years’ experience in the Invercargill rental industry. She is looking forward to new challenges and delivering excellent service. Sharon understands the importance of building great relationships with both tenants and owners. When not working she enjoys her lifestyle of walking her dogs along the beach at Riverton where she lives, catching up with her 8 grandchildren and enjoying time with her family and friends. For friendly efficient service, give Sharon a call today. 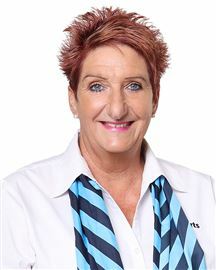 1994 was the year Suzanne started in administration at Harcourts working in a wide range of duties. In 2002 Suzanne started in property management, during this time Suzanne has had Sam and Emily and leads a very busy life. As a property manager she excels in her job. "A Wee Treasure in Windsor"
Like it? You will Love it! A Lot To Offer Here! "Fit For A King Or Queen"
Owner Says Sell It ! The "Holy Grail" Of Invers! "The Fable Of The Gable"
" More Than Meets The Eye "
Motivated Owner Says SELL ! "Get Ready To Be Spoilt"
Out of town owner wants SOLD! A Honey For The Money! !